After Banfield secured their historic first Argentine title, it seems the fun is only just beginning for the club from Buenos Aires. For there is already a dialogue developing between Banfield’s head coach Julio Falcioni and the club’s favourite long lost son. Inter's Javier Zanetti has revealed his interest to come home and participate in Banfield’s Copa Libetadores campaign next year. A conversation between Falcioni and Zanetti was held on ESPN Radio en Rivadavia and both parties expressed their wish to work together in the near future. For his part Zanetti congratulated the head coach for all he has achieved with Banfield and showed a genuine interest in the offer. The radio love-in continued to pick up pace as Falcioni paid further tribute to the Inter defender, who is in the middle of a club record run of 149 consecutive appearances. “You are part of this achievement for this club. You’re a symbol of this club and thanks to you we are known throughout the world.” Falcioni said. 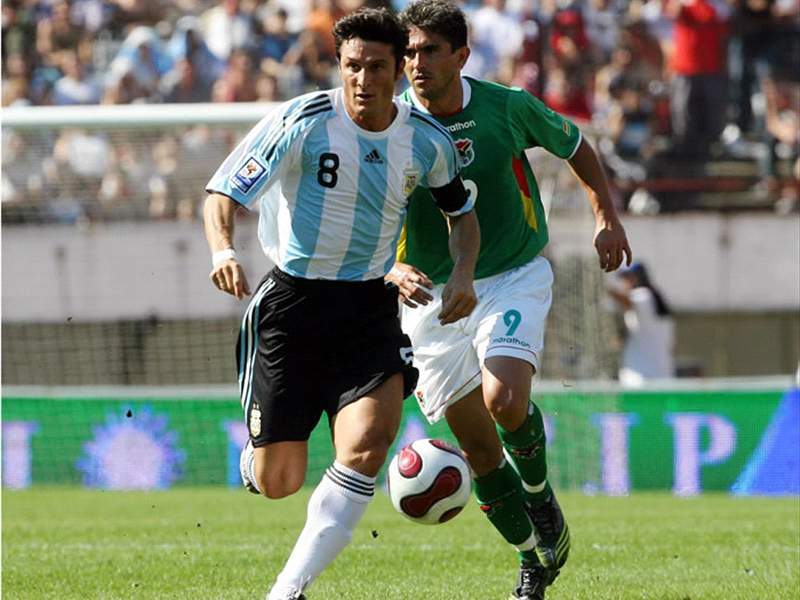 Zanetti joined Banfield as a 20-year-old after being rejected by a number of first division clubs. His performances made him a firm fans favourite but he really cemented his place in the hearts of the Banfield faithful when he turned down moves to Boca Juniors and River Plate to stay with the team. It was an offer from Inter which eventually turned out to be too good to refuse. Estudiantes’ gaffer Alejando Sabella was full of praise for Pohang Steelers after his side beat 2-1 the South Korean outfit yesterday. The result leaves Estudinates as interested spectators of today’s other Club World Cup semi-final between Barcelona and Atlante. Aside from praising the opposition Sabella was also quick to thank his own squad for the amazing journey they are taking him on. Sabella also expressed his surprise at the overwhelming support his team received from the stands in Abu Dhabi. Sabella gave his analysis of the game and praised his Asian opponents for not letting their heads drop despite going 2-0 down and eventually being reduced to eight men. Looking forward to the final Sabella admitted he expects to face Barcelona but warned that they have a job to do today just as his side did yesterday. After a year of underperforming Racing Club’s head coach Claudio Vivas has told a total of 14 members of his squad that their services will not be required next season. Vivas took over at the club for the second half of the Apertura season after the previous head coach Caruso was forced out due to a pitiful run of defeats. Three players brought in by Caruso have been told they are free to seek employment elsewhere, meaning it is unlikely that Nicolas Minici, Pablo Monsalvo or Javier Velazquez will be wearing the light blue of Racing next year. Vivas has also wielded the axe over the youth team with goalkeeper Matías Pinal sent packing along with defenders Martín Pucheta, Federico Arias, Walter Alvarez, Antonio Dominguez and Diego Menghi. Midfielder Juan Salto will also not be required nor will attackers Emiliano Bonfigli and Jorge Echenausi. Ruben Ramirez was told before the end of the Apertura season he will be moved on while Pablo Caballero, Damian Ledesma, Sebastian Rosano and Cristian Tavio will be invited back for pre-season training but also placed on the transfer list.